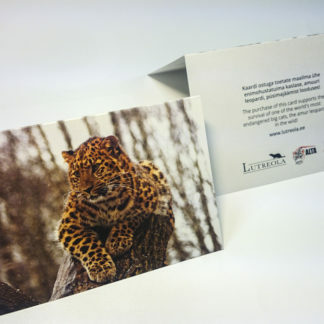 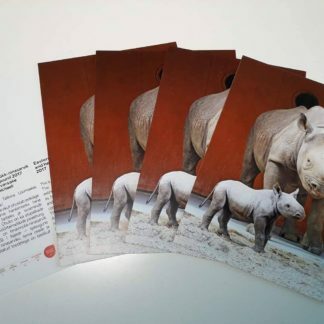 The postcard has been printed on environmentally friendly recycled paper. 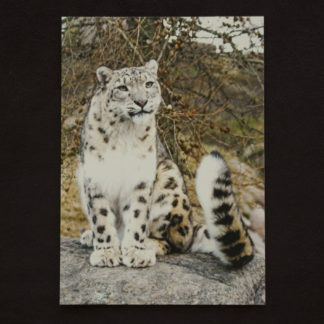 Tiit Maran’s photo on the cover features a European mink. 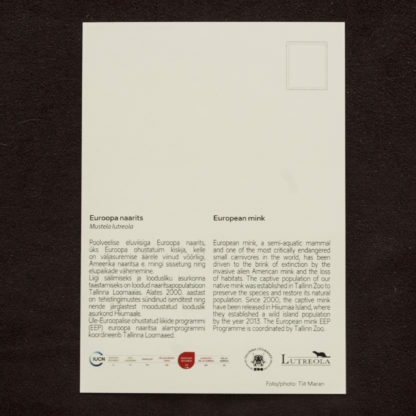 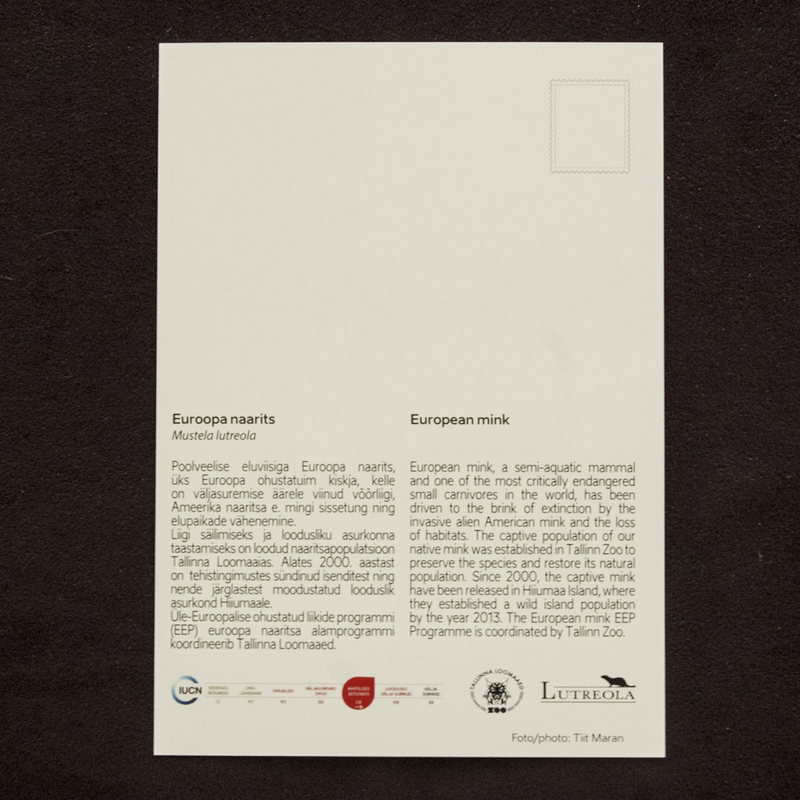 There is Estonian- and English-language information on the back of the card. 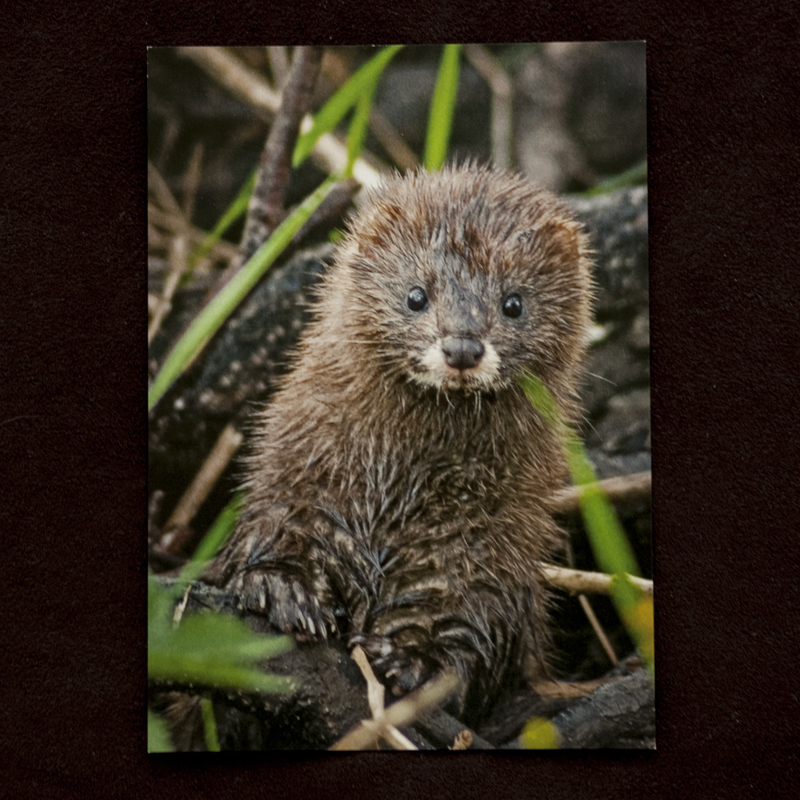 Your purchase supports the protection of European mink in the wild!